It goes without saying that Carpenter's original The Thing is a true piece of art. I've loved it since I was a little kid. The idea of a prequel that takes aim on the Norwegian team of scientists is terribly intriguing. The original already leaves open a ton for interpretation, but now we will get to see it actually unfold leading up to (hopefully) the American team. 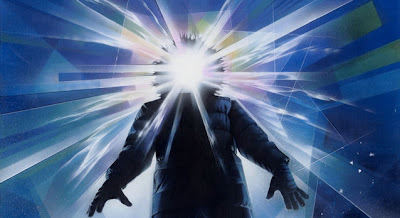 Universal's prequel to John Carpenter's classic thriller "The Thing," is due to begin filming March and continue till June in Toronto. Matthijs van Heijningen is directing for Universal. Universal had hired SciFi writer Ronald D. Moore to pen the prequel, but he was later replaced by Eric Heisserer. Heisserer who is unproven to date penned the upcoming "A Nightmare on Elm Street" for Platinum Dunes. Outside of Ronald D. Moore, who is now completely off the project, I have no clue what to expect from the hired talent. After "A Nightmare on Elm Street" releases we get a clearer picture of what to expect from his writing, but there still are quiet a few concerns surrounding "The Thing" prequel. Namely, how will Universal approach the alien/creature in the prequel? The original of course houses no CGI and is all hand made props. Rarely do we see the Industry take a step back in special effects, but in this case I really hope they do.